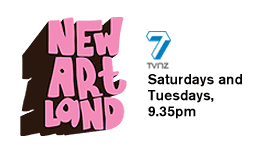 Fans of art and TV on demand may already know about the great series New Artland hosted by musician Chris Knox on freeview TVNZ 7, and available online. The programme invites artists to make a new work involving a community. Series two has recently been uploaded, and they are already up to Episode 7. If you haven’t seen it yet then you’ve got some great catching up to to do via the internet. Seung Yul Oh, Oddooki, Te Papa Sculpture Terrace, Level 6. Episode 6 which screened on 3 October featured artist Seung Yul Oh. 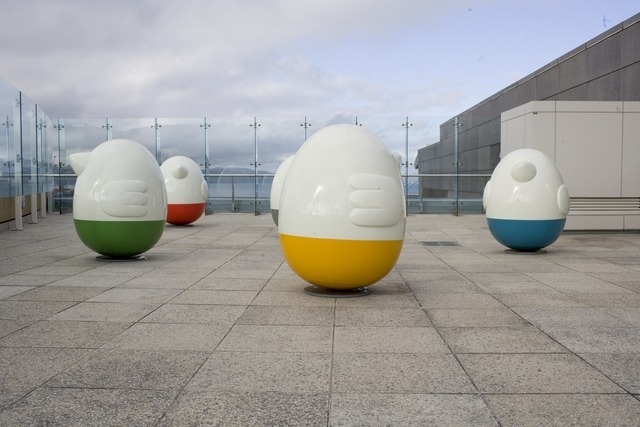 Seung recently created a project for the Te Papa Level 6 Sculpture Terrace called Oddooki. 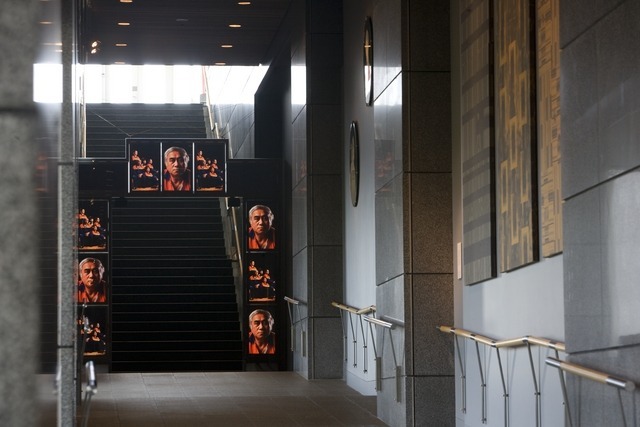 Seung’s Oddooki project was on the Outer Terrace until early June of this year. You may have missed it, but if you did you can see a snippet of the work in the New Artland programme. For the first programme of its first series New Artland made a programme with Ronnie van Hout. Te Papa has a number of work of Ronnie’s in the collection and also a current Sculpture Terrace project by Ronnie called A Loss, Again. A Loss, Again will be on show until mid 2010 so there’s plenty of time to see the work on your next visit. On 28 November we will be opening a new project on the outer Terrace. 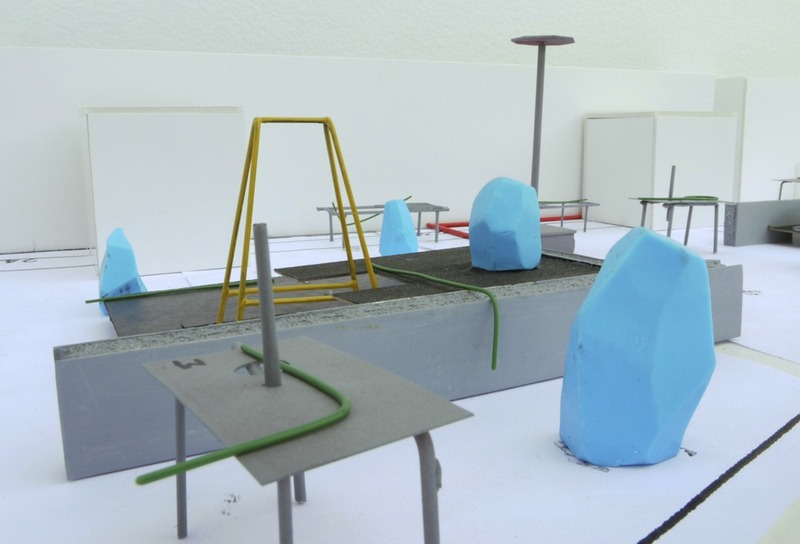 The project by Paul Cullen is called A Garden. Here’s an image of the artist’s model as a bit of a teaser. Mai i te aroha, ko te aroha also currently on show here at Te Papa in the Te Ara a Hine space, Level 2. 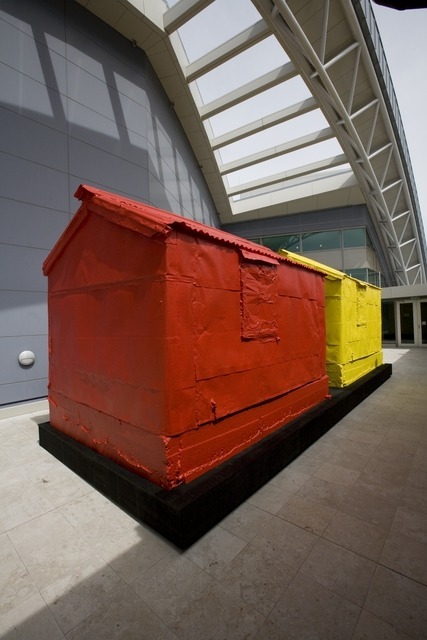 Many of the artists who created projects for New Artland are also in the Te Papa collection, you can search under their names through our Collections Online.